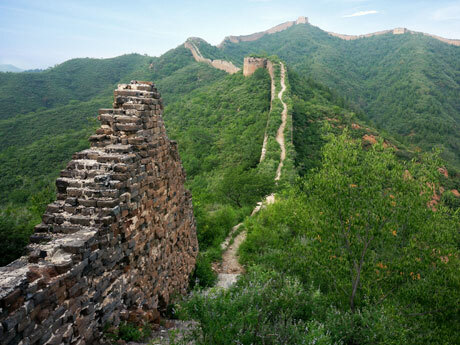 Make your dream of hiking the Great Wall come true by discovering the popular hiking sections in 3 days. The wild Great Wall sections at Jiankou and Gubeikou display the original, unrestored bricks and stones of the wall, which vary in wholeness from tower to tower. The Mutianyu section is a reflection of the restoration work carried out in the early 1980s. The Jinshanling section will impress you with its bleak but picturesque scenery and its authentically restored glory. This 3-day hiking tour from Jiankou to Jinshanling will let you see both the wild and restored sections of the Great Wall. Discover the well-preserved and unrepaired sections of the Great Wall at Jiankou and Gubeikou. Hike the best fully-restored Great Wall section at Mutianyu. 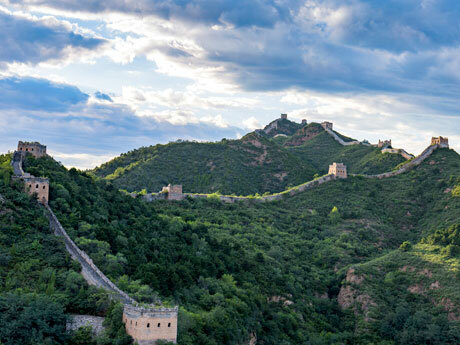 Visit the most photogenic section of the Great Wall at Jinshanling. Get to know the local people&apos;s lifestyle around the Great Wall. 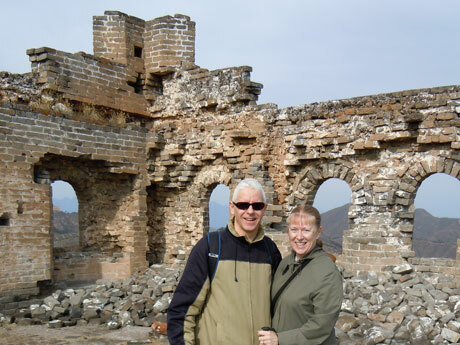 We had a wonderful day with Jimmy hiking and taking pictures of the Great Wall! The scenery was awesome, with water, mountains and sky. Jimmy was very patient as my son and I took pictures. In the morning, your private guide will be waiting for you in your hotel lobby at 8am. 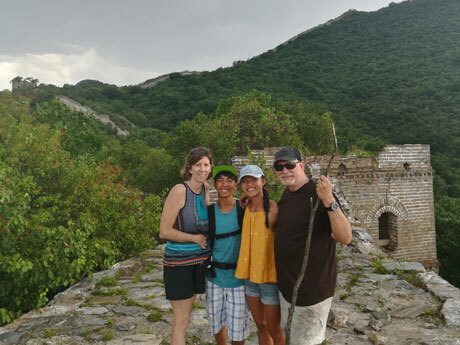 You will start in Xizhazi Village and hike for about 1 hour to reach the wall, from where you will hike eastward for another 3 hours to the restored Great Wall section at Mutianyu. There will be a sharp contrast when you arrive at the Mutianyu section, which has a restored wall and towers. A cable car and a toboggan are available at Mutianyu. If you would like to get down from the wall by cable car or toboggan, your guide will be happy to arrange that for you. After your hike, you will be transferred to Gubeikou Village and you will stay there overnight. Note: The trail distance and hiking time given to you are for your reference only. The elevation changes over the distance hiked. Your day will start at about 9am and you will spend about 5 hours hiking on the wall. This is a long day but the walk is leisurely compared with the hike from Jiankou to Mutianyu. Gubeikou was a key pass between ancient Chinese and Mongol territories. It protected ancient China from Mongol/Manchu invasion from the north. The scenery at Gubeikou is not as spectacular as it is at Jinshanling or Simatai but this section is more interesting historically. Your guide will explain the construction of the wall and describe a scene from a war that actually occurred there. After 2 hours of hiking on the Gubeikou section of the Great Wall, you will need to descend from the wall to avoid a nearby military area. 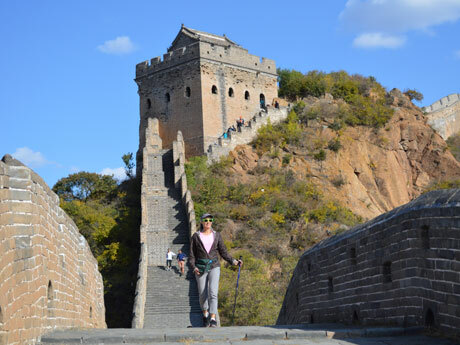 After walking along a path through cornfields for 1½ hours, you will reach the wall again at the Jinshanling section. You will be transferred to your Gubeikou Village accommodation again after the hike. You will get up early and start your trip at about 8am with a 20-minute drive to the Great Wall at Jinshanling. At this time of day, there are usually no other tourists on the wall, so you will have the wall to yourself. It takes about 3 hours to hike from Jinshanling to Simatai West, the junction of the Jinshanling and Simatai sections. This section has breathtaking views and offers stunning photo opportunities in different seasons. There are over 15 watchtowers in various styles and in good condition. As this section is half restored, you can see the unrepaired ancient watchtowers and broken sections as well as the restored section of the wall during the hike. The opportunity to watch a sunrise and sunset can be organized upon request without any additional cost and as long as the weather permits — please advise your guide if you would like to do this. Hotel pick-up and drop-off points in downtown Beijing are included. If you would like to be picked up or dropped off at the airport or train station, please let your travel advisor know. We arrange your meals in local restaurants. If you have any special dietary requirements, please let your guide know. We will prepare drinks and snacks, such as cookies and chocolate bars.